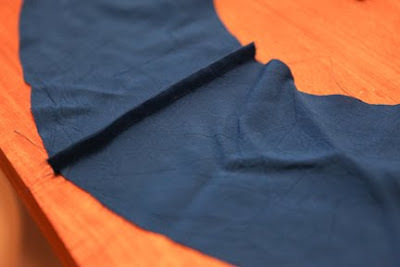 First of all thank you to Rae for featuring me and my tops over at Made by Rae yesterday. And on that note don't forget to enter your spring top into her contest. Last day is tomorrow. I also finished my 6th version of Simplicity 2599. This time I decided to lengthen the top to make a dress. 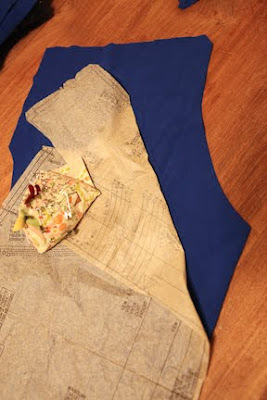 I used version F of the pattern to add the gathered waistline. 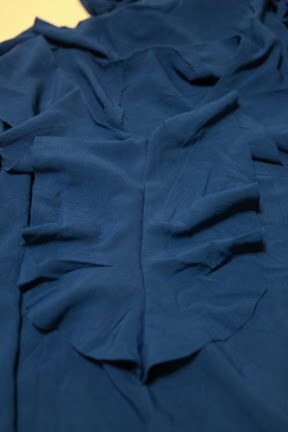 Otherwise I just lengthened the bottom and added some ruffles to the neckline. 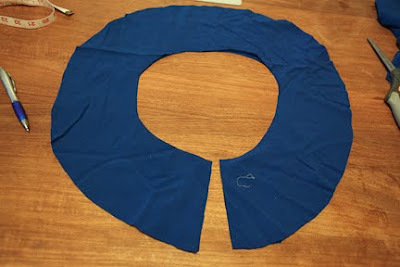 I first cut the neckline into a v neck instead of the higher scoop neck. 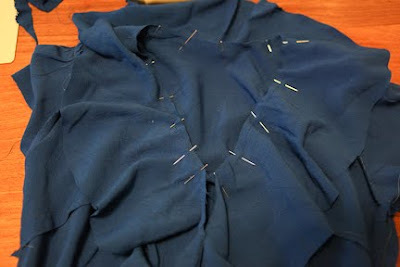 I also added length to the pattern and an inches of width on either side after the waistline. 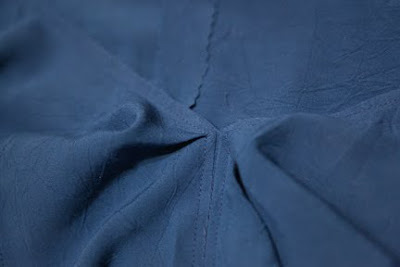 I sewed the two ruffle separate circles together at one end in a french seam. 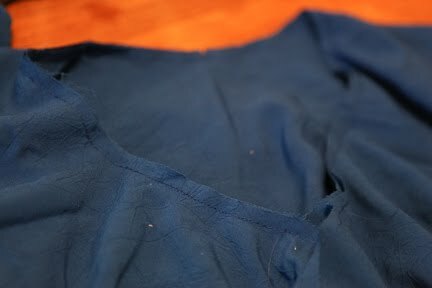 I pinned and sewed (at 1/4") the ruffles to the neckline with the right side of the ruffle to the wrong side of the dress. The french seam should be at center back. 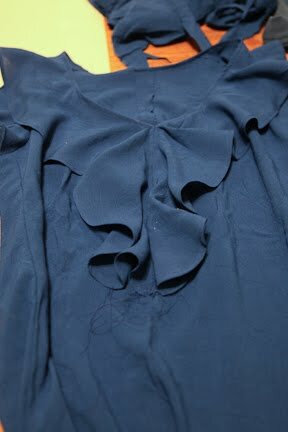 I then flipped the ruffle to the front of the dress and pressed it. 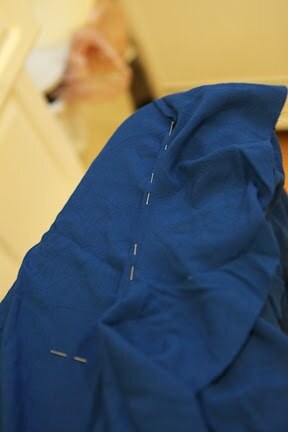 Pin the rest of the ruffle down the front middle of the dress until the waistline. Pin and stitch the ruffle down the middle of the dress. Next I topstiched around the neckline and down ruffles on the center of the dress. Lastly I finished the edges of the ruffles. I wish I had a rolled hem foot, but I don't so I had to do it the old fashioned way. I hope you have a rolled hem foot because it was not fun. This dress looks gorgeous on you... you really rock that colour. I have enjoyed your one-pattern series. wonderful colour on you! great dress. I love the dress! What kind of material is that? Kat, it is a rayon challis - my new favorite fabric to work with. 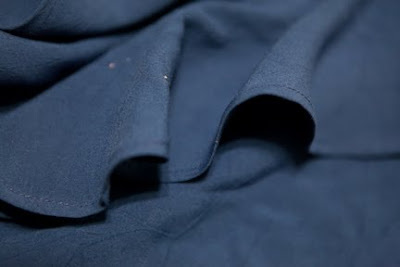 it doesn't fray, or slip, it's not shiny like polyester and yet still moves nicely like a silk. i highly recommend it. Yes, that color on you is divine! Love the idea! now I want one. Thanks for the inspiration and instruction!! Ah Kelli!!! You're ridiculous good! What a great idea! I was just thinking about this very thing. I'm a beginner sewist and the first top I made (this spring) was 2599. I love it, it's so great to have such excellent individualised fit for the bust. I appreciated this even more after making Simplicity 2211 (a Lisette dress), which is nice but not adjustable by cup size. That got me thinking that i should just lengthen 2599 and now that I see how cute that can be, I'm definitely going to do it! And as people have said, the colour you chose is lovely. It's a very good piece of work Kelli. The making is very easy & you have given each & every aspect of how to make it. I like the pictures which shows the deeper creativity instincts. Great Job. Adorable! Looks so cute. 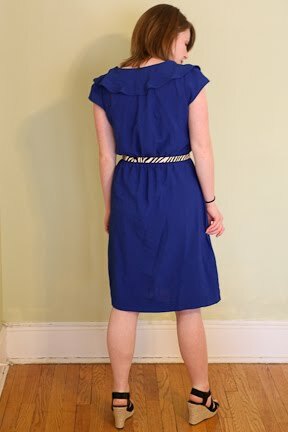 I love the elastic waist dress look but it's hard to find a pattern for one that doesn't end up looking like a sack, so lengthening a top is a great idea! That is so helpful tutorial. thanks for share this.